Free FDA Compliance Training (10,000 Value)! 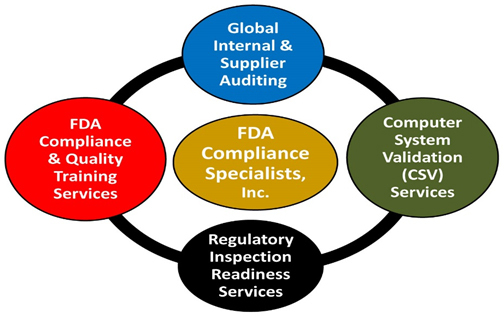 For each new Pharmaceutical, Medical Device, Biotechnology, and Healthcare Supplier Client – After we conduct three (3) audits on your behalf, we will provide our most popular "21 CFR Part 11 & FDA Auditing of Computerized Systems" online training class for up to 5 employees for FREE ($10,000 value)! Whether it’s an urgent audit request, or a request to manage an effective supplier audit program, our highly experienced, certified auditors can provide the required support when and where you need help globally, on demand! Please refer to the links to the right for more details related to the services we provide. Good Clinical Practice (GCP) Audits. 21 CFR Part 11 & EU Annex 11 Computerized System Audits. Internal QMS Corporate Function Audits. Computer System Validation (CSV) Services.